Wedding celebrations have a lot to offer. The dress, the decorations, music, and beautifully written invitations are all a part of preparing for a couple’s big day. 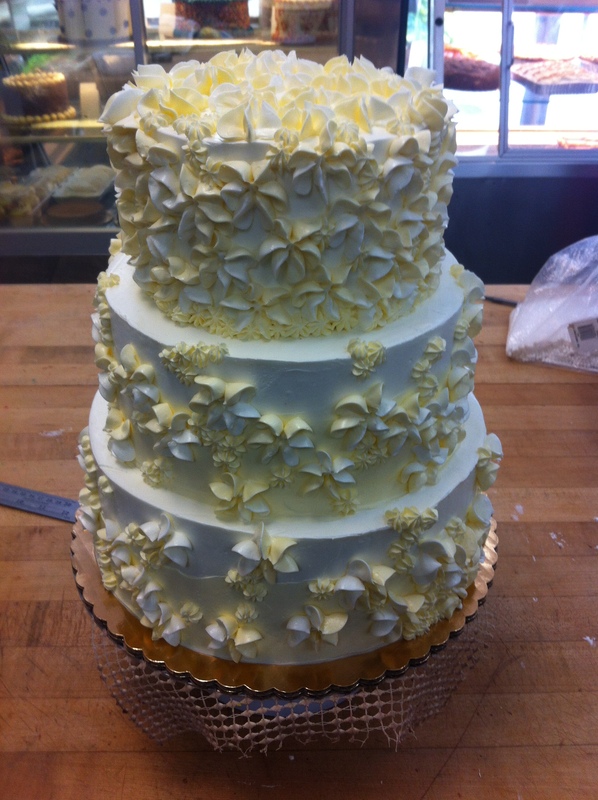 One of the most important pieces to the wedding preparation is the wedding cake. But where did this well-known dessert originate from? To answer that, we have to go back in time to the medieval era. In medieval England, an early form of wedding cake was being created. At the time, people would stack small spiced buns as high as they could and then bring them to the wedding ceremony. If the bride and groom were able to kiss over the tall stack, it ensured the promise of a lifetime of prosperity. Fast forward, to the seventeenth century where tradition changed. During this time, wedding cakes were made in pairs; one cake for the bride and another for the groom. The groom’s cake was typically a dark, heavy fruit cake. It was smaller than the bride’s cake and typically not-iced. It would be cut into small pieces and given to each guest to bring home as a memento and to ensure good luck. It was also recorded that in the evening, the recipient of a piece of the groom’s cake would place their piece under their pillow. This tradition quickly died out and is no longer observed. The second cake was known as the bride’s cake, which would become the predecessor of the modern wedding cake. “Bride’s cake” was a term for fruited cakes which symbolized fertility and prosperity and became the centerpiece for the wedding reception. A bride’s cake was made up of to two large rounds of sweet cake sandwiched together with currants, sprinkled sugar and covered in which icing. 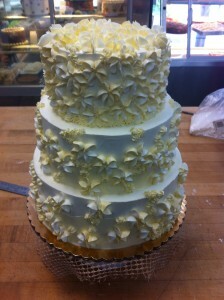 The white icing typically seen on wedding cakes symbolized purity a notion put forward especially in Victorian times). The white frosting also had a more practical meaning as well. Many of the ingredients for the bride’s cake was expensive, especially the sugar used for the icing. The white icing on the cake meant that only the finest, refined sugar has been used, and it symbolized the family’s wealth. While the numerous traditions, like having two cakes or sticking them under pillows, is no longer observed, the bride’s cake tradition is still used today, and formerly it was known as just a wedding cake. Wedding cakes today have become an art form and play a huge role in bringing the whole wedding party together. If you live in Cortlandt Manor, NY and are looking for a bakery to create your unique wedding cake, Baked by Susan is a delicious option for your wedding. There is a reason why wedding cakes are such an integral part of marriage celebrations. They have been a part of weddings, for as long as the inception of the ceremony itself, and you can trust Baked by Susan to create special wedding cakes for your wedding ceremony. For more information on flavors, sizes and pricing, contact us today!